The good news is that the application process is the same for all Oxford colleges. You will need to fill in a standard application form, and submit it via UCAS. All you have to decide is whether to name Somerville as your college of choice, or to make an “open application” (which is what 20% of applicants to Oxford do), which leaves the decision up to the Admissions Office computer. 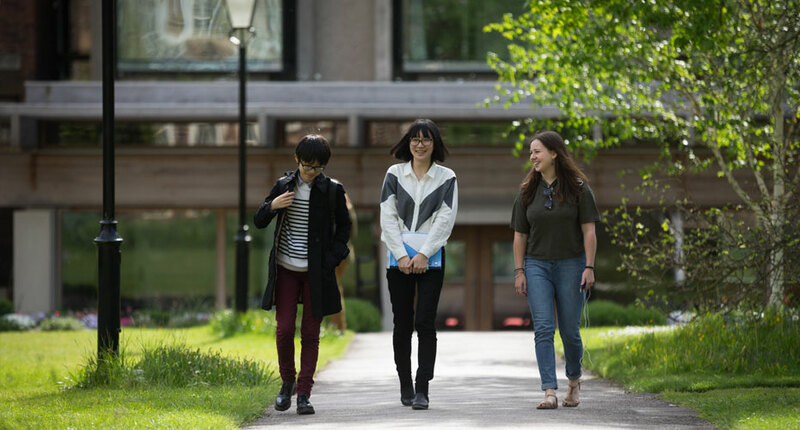 Full information about the University of Oxford, and how to apply for an undergraduate course here, is available on the University’s Undergraduate Admissions Web pages. If you would like to find out more about Somerville, there is a wealth of information on these web pages, in the Somerville Prospectus and in the Alternative Prospectus. We hold three Undergraduate Open Days per year, and we welcome visits from schools, teachers and individuals at any time. Please feel free to contact us with any enquiries you may have. Please note, tutors should never be contacted directly by the applicants or their representatives. Keen to apply to Somerville? An open day is a great way to get to know us, learn about student life and discover which subjects are available.